Canada’s winters aren’t for weaklings. It gets COLD here, and when that happens you want everything else around you to be WARM. This includes bathing and water to wash dishes and to cook with and to make toasty warm beverages. As all Canadians know, the worst thing is to wake up on a cold Canadian morning only to discover you have these two options: a cold shower or no shower! But all that hot water can add up cost-wise, until it feels like your wallet is shrinking every time you turn on the faucet. 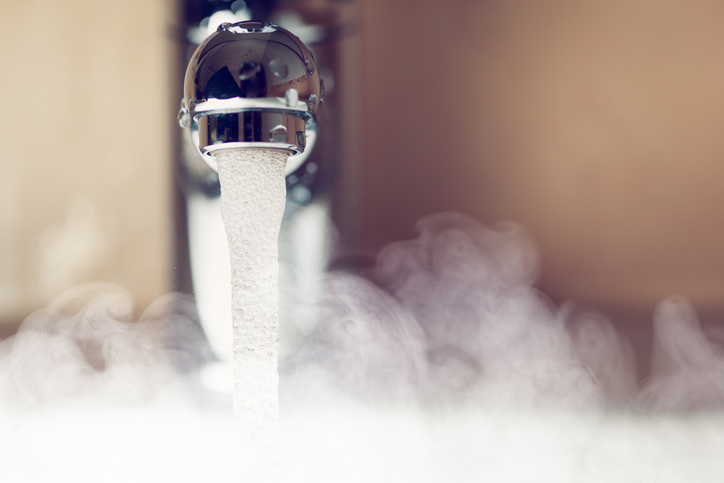 How can you make sure you have all the hot water you need this winter and still save money, too? In this article, we share our favourite timely tips for how to save the most on winter hot water costs. According to National Resources Canada, the typical Canadian household uses approximately 75 litres of hot water per day. Hot water use accounts for about 30 percent of the monthly water draw (251 litres total) and just under 20 percent of the monthly power cost. So now let’s look at what all that hot water costs. To do this, we will use as our base the Ontario homeowner’s average annual energy cost of $2,351 (Financial Accountability Office of Ontario). In this scenario, you would spend $196 each month on energy. Twenty percent of that amount goes to producing hot water, a monthly cost of approximately $40. Annually, you are paying $480 just for hot water. Wouldn’t you like to put some of that back in your pocket? You can trim your hot water bill, even during the coldest days of a Canadian winter. Aim for a range of 49°C to 60°C (120°F to 140°F). The lower you can set your standing temperature, the less hot water you will waste and the lower your risk will be for burns at the tap. You can wrap your hot water heater in an insulating blanket of its own, which costs pennies to purchase and will save up to $3 a month ($36 a year). As long as your pipes are made of something other than plastic, you can conserve energy by insulating your hot water pipes. Did you know that one tap producing one water droplet per second will leak out 800 litres of water each month? Those small leaks can add up, costing the planet and your pocket resources better put to use elsewhere. The average bath will use up the full 75 litres of hot water, while a short hot shower will only use about 35 litres of hot water. Provided your type of laundry detergent is cold-water friendly, cold water is actually good for many clothing materials used today. Since three-quarters of the energy it takes to run your washer is used to heat the water, by setting your washer thermostat to 15.55°C (60°F) or lower and setting the water level to match your load size, you can save up to $60 per year on water heating costs. Using low-flow fixtures can trim up to 30 percent off your hot water use and 50 percent off your total water use annually. So now, instead of saving $40 per month, you would be saving almost $60 per month on hot water heating costs. Each of the tips shared here can trim valuable dollars and cents off your winter heating costs. But when you are ready to consider upgrading your hot water heater itself, switching to a tankless hot water heater system can supercharge those savings. It is true that early tankless hot water heater systems couldn’t always go neck and neck with their tank cousins. But today’s gas-powered, energy-efficient, heat-exchange, Energy Star-certified tankless water heaters can go the distance and then some. Current estimates indicate annual energy savings of between 25 and 50 percent depending on your household hot water needs. In addition to saving approximately $100 annually by following the hot water-saving tips here, this would mean you could trim an addition $120 to $240 off your hot water heating costs by upgrading to a tankless system. It is true that the new tankless hot water systems made by Navien, Rinnai, and John Wood now take hot water on demand to a new level of efficiency and effectiveness. But this can tempt family members to use more hot water than before, which can take those savings right back out of your pocket again! The key to maximizing your savings from a tankless hot water heater is not to increase your hot water use, and to even lessen it where possible. 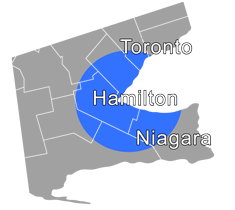 It is a privilege to serve you and your family here in the Hamilton and surrounding areas. If you need us, we are here for you 24/7. Give us a call at 905-549-4616. In either situation, we have you covered and no action is required from you at this time.